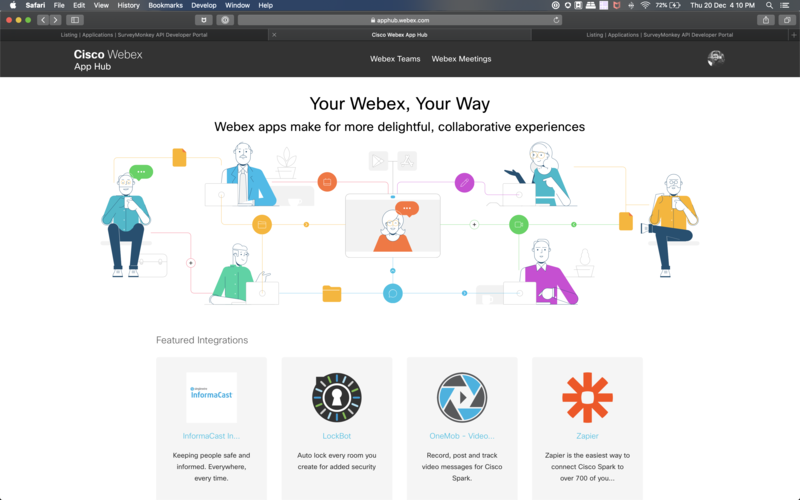 Cisco Webex Teams is an enterprise-grade collaboration tool that lets you send direct or group messages, schedule meetings, and share files effortlessly with your teams. With the SurveyMonkey integration for Cisco Webex Teams, users can get customized notifications on their Cisco Webex Teams space whenever an event occurs in their SurveyMonkey account. This will ensure that users never miss a survey-related update and can act faster on the received survey data.